If you go hiking near a fresh water spring or marsh such as The Spring Trail at the Wellfleet Bay Wildlife Sanctuary or the marshes on Red Maple Swamp Trail at Fort Hill, the chances of seeing a Water-Willow are very good. They like to grow in shallow water in July and August. 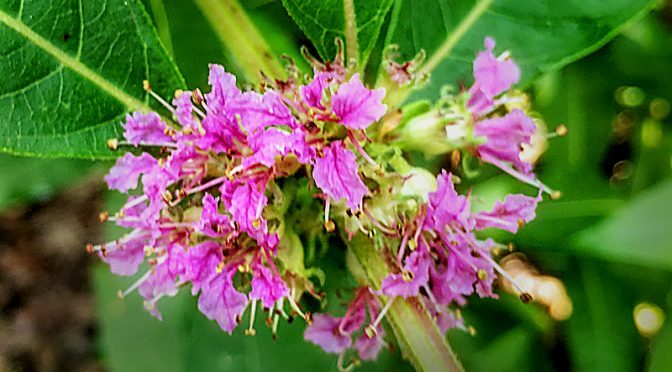 Water-Willow wildflowers are an aquatic shrub with magenta flowers whose 5 petals grow in whorls where the leaves join the stem. They are native to this area. 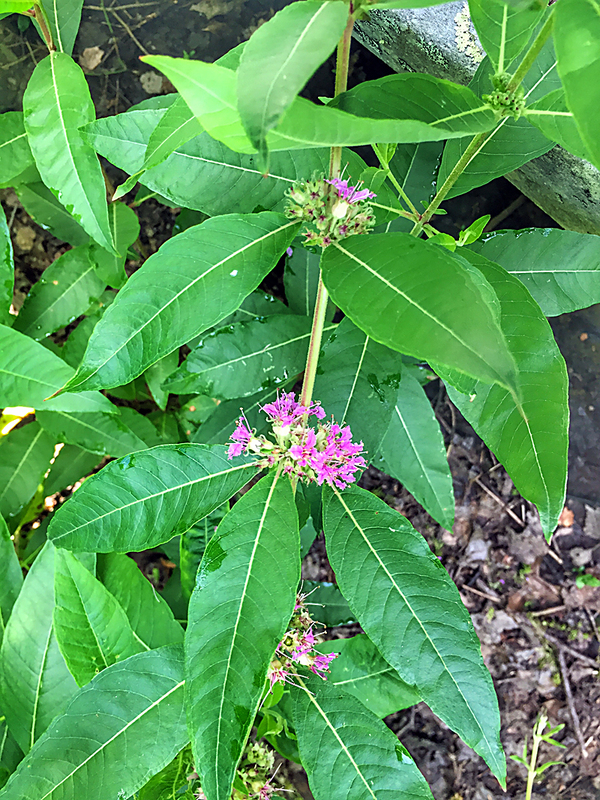 The flowers are small, only 1/2″ to 1″ while the plant grows from 3-9 feet. You can see in the 2nd photograph how the flowers grow almost where the leaves join the stems. This is such a delicate little flower…so pretty. Have you ever seen a Water-Willow? I’ve never seen a water willow in Windsor, but now I’ll know one if I see one. Very pretty! It’s amazing how you find these many wildflowers.